Jasper Contractors has continued its rapid growth throughout the nation, including opening three new markets in Florida and one in Indiana in the last 12 months. The roofing company is continuing to bring multiple jobs to its newest territories and decided it was time to hire a National Safety Manager to help the company continue its compliance with all safety standards as it continues its expansion. I want to engage, motivate, as well as challenge the team to achieve zero incidents as well as make Jasper Contractors safety system one that all companies desire. Working together, we can do this! 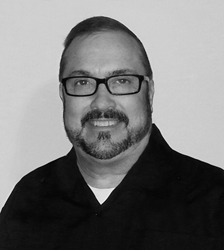 “I am very excited about coming on board and working with you as your Safety Manager” says Martin Keller, newly hired Safety Manager at Jasper Contractors, Inc. Mr. Keller, who has over 30 years of safety training, education and experience, will be starting in this new position on November 3, 2014. Some of his main job responsibilities include training, implementing and enforcing safety policies to comply with OSHA standards. He will be traveling full-time throughout the Jasper markets to ensure that employees are adhering to all company and industry rules and regulations. Jasper has found its Safety Manager but still continues to hire for other job positions as it continues to grow; interested persons can apply here for Crew and Laborer Recruiter, Superintendents, Administrative Assistants, Regional Managers, General Manager, Outside Sales Account Managers, Field Assistants, Laborers and Shingle Installers. Jasper Contractors, a national roofing company headquartered in the greater Atlanta area, has offered exceptional roofing services since 2004. It is BBB accredited and an Owens Corning Platinum Preferred Contractor. With multiple offices located throughout the US, Jasper has earned an excellent reputation as the go-to roofing contractor. All company contractors are certified, licensed and insured. Jasper specializes in offering a no-cost inspection and helps customers navigate the insurance claims process when they’ve sustained hail or wind damage to their roof. The company provides superb customer service and employs only highly-trained, highly-skilled roof installers. For more information visit Jasper Contractors or call 1-800-766-3188. Jasper Contractors E-Verifies all potential employees as well as require them to pass a drug screening and are subject to a background check.